How to Ship a Painting to China? One may say that to ship a painting is not a big deal. In some cases, it is true, but what if it comes to a large painting weighing 200lbs or a valuable masterpiece purchased from Shapiro Auctions, Sotheby’s, Christie’s, or any other world-known auction house? Or do you really think that to ship a painting by Pablo Picasso is just the same as shipping your household items? Moreover, what if you need to ship your valuables from New York to, let’s say, China? The task becomes much more complicated, right? However, this problem can be easily solved if you hire a reliable art moving company for this job! As a professional fine art shipping company in NYC, Fine Art Shippers operates not only across the United States but also internationally. In fact, we have a wide network of trustworthy partners throughout the world, which allows us to provide the art community and private clients with a full range of art shipping services for any need. Thereby, it is needless to say that we can easily ship a painting of any size, weight, and value to China or any other destination worldwide. 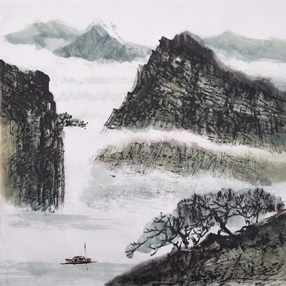 Moreover, since Chinese art market is the second biggest in the world after the United States, we work with many reputable Chinese top collectors and art dealers who frequently acquire valuable artworks by modern and contemporary artists, as well as very fine and rare antique items dating to the 15th century or even earlier. For example, not so long ago, our team of trained art shippers was trusted to pick up an amazing antique Chinese vase from Sotheby’s New York, pack it, and finally ship it to our client’s location. For today, Fine Art Shippers is one of the best companies in NYC, specializing in shipping fine art and antiques to China, so if you need to ship a painting to the “country of the dragon,” you won’t find a better option than our team. Moreover, we can also safely and securely ship a painting from China to New York or any other U.S. city, so feel free to contact us each time you need any shipping help! Besides, in addition to our international art shipping services, we also offer comprehensive art packing, crating, and storage services, making Fine Art Shippers an all-in-one solution to literally any shipping problem.